The opioid crisis, which in the past 15 years has led to the deaths of hundreds of thousands of Americans, has often felt overwhelming, relentless in its advance even as treatment and prevention have often remained woefully under-resourced. But perhaps that may finally be changing. Some early signs of potential relief have been spotted in Dayton, Ohio, where the rate of overdose deaths has fallen in half. Dayton’s local papers reported a few months ago, and the New York Times highlighted last week, that Dayton saw a 54 percent decrease in overdose deaths this year from 2017, when the coroner’s office was so overrun that they had to rent refrigerated trailers. The crisis is far from over, but the significant decrease in deaths is a sign that Dayton’s programs might just be working. Ohio expanded Medicaid, allowing lower-income residents access to treatment. People in jail were allowed to continue treatment with their regular providers. 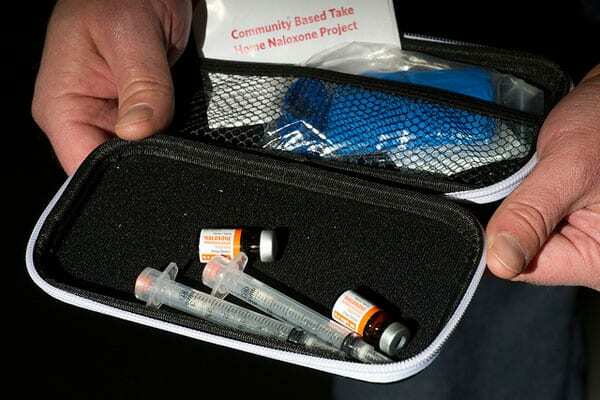 An increased supply of naloxone flooded the community, and police officers were required to carry it. Increased funding, partly through the Medicaid expansion, increased the number of available support groups and peer networks. The supply of carfentanil decreased. Police officers, nurses, nonprofits, and others partnered to create a solid net that caught people falling out of treatment and helped them stay the course. Though it did not record the highest number of opioid-related deaths, Dayton had an embarrassing reputation as the “overdose capital” of the US. Residents were understandably upset by this portrayal in the news, especially since it didn’t seem to inspire any change or influx of resources at first. But eventually, according to Jodi Long, director of treatment and supportive services for the Montgomery County Alcohol, Drug Addiction, and Mental Health Services board, the money started coming in. Some residents expressed a concern, familiar to many nonprofits, that if the crisis continues to abate—in this case, the death rate continues to fall—funding for programs that help addicts will dry up. So, what is the lesson to draw from Dayton’s successful programs? First of all, they did not involve any single agency working on its own, but a consciously coordinated and purposeful effort to reduce the number of people dying. Second, none of them involve punishing addicts; in fact, several aspects of the plan involve police officers in a non-enforcement role. All the programs involved getting resources to people who needed them in the quickest and simplest way possible, without worrying about whether addicts “deserved” treatment. Officials even approved a needle exchange program, which both reduces health risk for current users and gives health professionals an opportunity to offer them treatment. Other locales have had trouble getting safe injection sites approved because of the pervasive (and incorrect) conclusion that such sites simply promote further drug use. We can see parallels between the solutions for the opioid epidemic and some solutions for poverty, in which the pernicious belief that those receiving assistance ought to prove themselves somehow worthy of it ends up crippling efforts to solve the larger problem. Safe injection sites no more encourage drug use than food stamps create dependency, but both myths persist as a stand-in for unwillingness to acknowledge and meet a desperate structural deficit in our societal safety net. Treating the opioid epidemic means reckoning with the damage done by Big Pharma to communities, and acknowledging that the burden of filling the gap between government oversight of a profitable industry and vulnerable communities still recovering from the recession falls overwhelmingly and exhaustingly on nonprofits.